Particularly, in Mozambique, the city of Beira and localities of Nhamatanda and Buzi have been totally devastated, with populations facing starvation and diseases such as cholera, malaria and other sanitary diseases. Besides, more than 50 new rivers have been formed that erode everything in their path. In Zimbabwe, in addition to hundreds of the loss of life, Cyclone violence has invaded many cementeries, unearthing many bodies which are washed away by torrents of water and mud, and new rivers spreading the smell of death everywhere; a situation similar to that also found in Mozambique. This has been aggravated with the destruction of many infrastructures, hospitals, schools and roads. In their memory, the populations of these three countries have never known such damage and such suffering for about a century. Today, more than 1, 600 million people are affected by the effects of the cyclone Idai and need emergency assistance. In response to this humanitarian need, the African Greens Federation urge the international community, which is already doing much, to redouble its efforts because the affected populations are helpless and the damage is very vast, thereby by leaving a very big gap of required needs. The African Greens Federation, in solidarity with the affected populations, is calling on the United Nations Humanitarian Affairs Coordination, Humanitarian Agencies and all the goodwill to redouble their efforts and accelerate their efforts to help the victims in supplies of food, medicine and clothing, as the situation is very critical. This is probably a strong occasion for the African Greens to remind the populations once again the harmful effects of environmental damage and global warming and call for more responsibility from everyone and governments to take action against climate change. 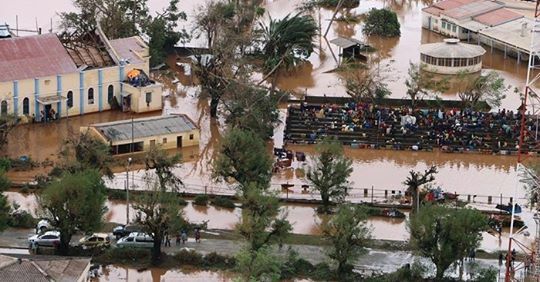 Last but not least, The Africa Greens Federation welcomes and congratulates the Ecologist Party of Mozambique and the Green Party of Zimbabwe for their involvement in helping the victims of cyclone Idai. We proclaim our active solidarity with the people of Mozambique, Zimbabwe and Malawi.